There's no other sport like college football. It causes brain damage, poses a high risk of litigation, it's about the only area of the university where the instructors are given free cars, and it's a sport that at most universities loses millions of dollars at a time of record student debt. In other words, it's a sport that provides any reporter serious stories to pursue and provides serious challenges for any university president. 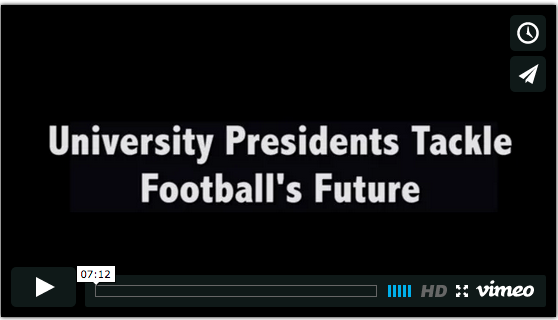 That's why we asked every Division I university president "what's the future of football at your university?" 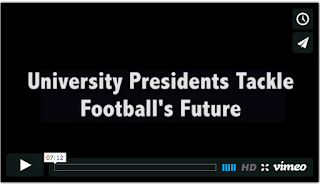 The result is a project Bobby Makar, Bob Baumann and I produced with Brave New Films: University Presidents Tackle Football's Future. What is far more distressing than the response from the presidents is what we discovered about the nation's news organizations. In producing this project, we wanted to know what university presidents had already said about the issues surrounding college football. We asked a first-rate researcher to find every single news article where a reporter was questioning a university president about college football. Guess what the researcher found? Not a single article, not from a sports reporter, not from a medical reporter, not from an education reporter, not from a business reporter, not from a media reporter. NOTHING! That total lack of reporting reminds me of the ESPN-MAC contract. 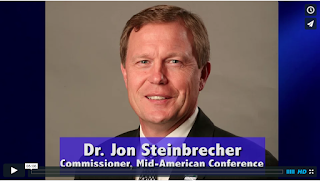 This is a 13 year multimillion dollar sports production deal involving every university in the Mid-American Conference and the MAC Commissioner confirms a copy of the contract was never sent to any of the universities, each of which approved the deal. How does a public university agree to a multimillion dollar business deal without having a copy of the contract? How do news organizations fail to question university presidents about doing business like that? It's time for sports reporters to put down their pom poms and pick up their pens. It's time for news organizations to hire sports reporters, not cheerleaders.